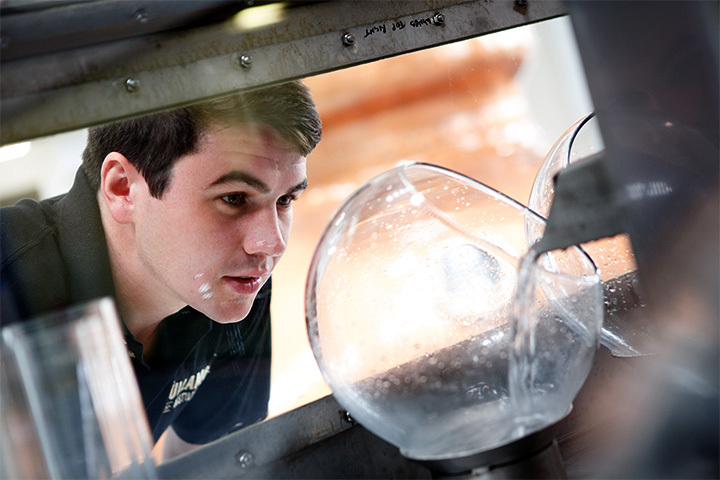 Worker observing the Tullamore Distillery spirit safe. Tullamore distillery is born again. 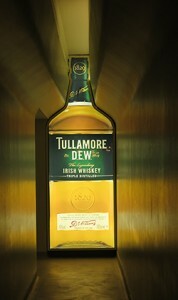 William Grant & Sons acquired the brand Tullamore Dew in 2010 and they decided to go further and build a new distillery while keeping the visitor reception center in the old buidings. A historical moment for the future of Irish whiskey. There is a lot happening in Ireland. Like everywhere, distillery projects are in the air. There might be 18 plans brewing in investors kettles at the moment. Projects but also achievements. William Grant & Sons took only one year to build an impressive distillery just outside Tullamore town. The official opening took place on a lovely Indian Summer day. Emotion and fun were on site. Superbly orchestrated by John Quinn, Tullamore charismatic Global ambassador, the party gathered a happy crowd, from the retired workers of the old Tullamore Dew to journalists and ministers. What an impressive site and a spectacular distillery house! 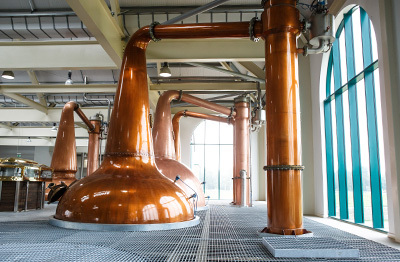 Tullamore will produce pot still and malt whiskey, with a planned production of 1,84mla per year, the equivalent of 511,000 (9 liters cases) of whiskey. Those figures should double by 2018. The spring water used in the process comes from the Slieve Bloom Mountains, which meant building 14 km of pipelines to bring the water to the distillery. William Grant & Sons have invested 35 millions euros in the building of the distillery which uses the very latest in modern and green technologies to reduce running costs by more than 60% The stills were hand crafted by Forsyth in Rothes (Speyside) to a design based upon the original stills, which were in use at the old Tullamore Distillery until its closure in 1954. For the moment, there are two warehouses on site – with the capacity to store 50,000 casks of whiskey. 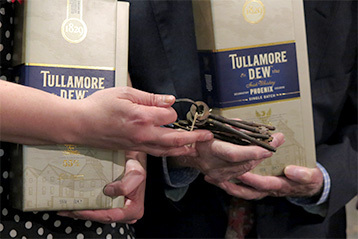 When 90 year-old Tom McCain handed the keys of old Tullamore Dew distillery to Denise Devenny, the distillery manager of the new Tullamore. Tom McCain had made the trip from the United States where he now lives. 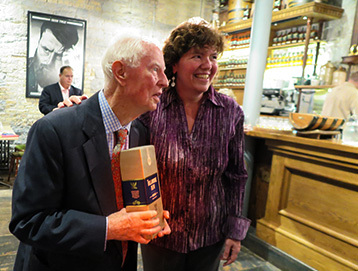 He was the last worker to lock the distillery in 1954. 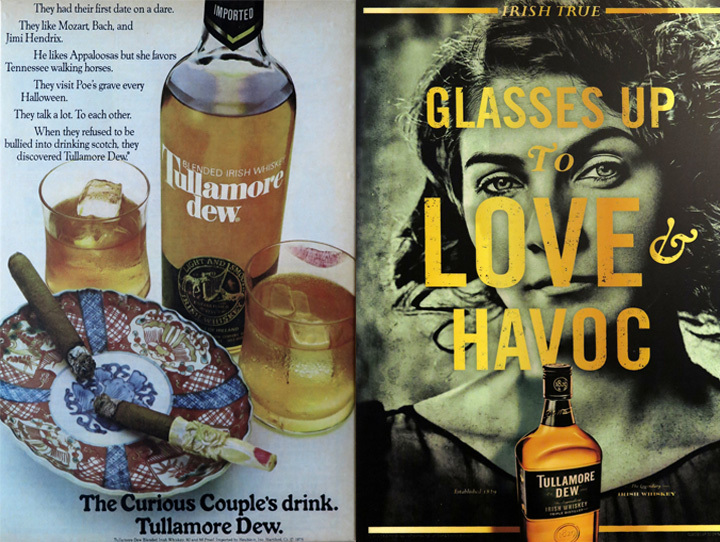 The man who crafted Tullamore Dew was a clever marketeer before his time. The slogan “Give every man his dew” should be revised now and include “every woman”! 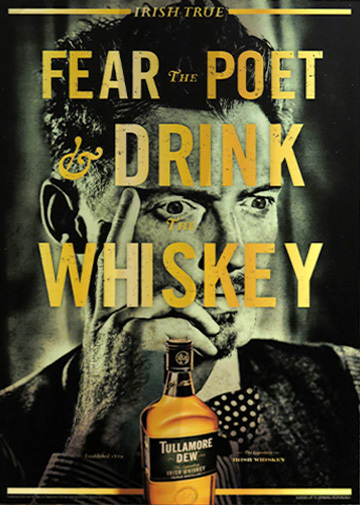 Dew is one of the many metaphoric names for whisky but it is also the initials of Daniel E. Williamson who started working at Tullamore at the age of 14 in 1862 and became the owner. My multi-talented colleague and friend Charles Maclean whose actor performance you probably have admired in Ken Loach’s film The Angels’Share is also a sharp whisky taster. 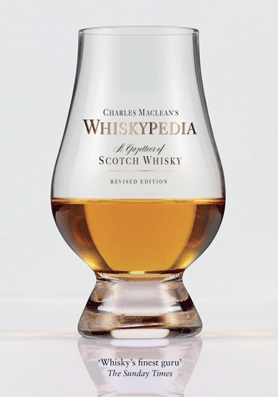 He has developed over the years a flavour Wheel listing the common descriptors used in whisky tasting. His wife Sheila, a Fine artist, has pushed the sensory exploration a bit further. Sheila Maclean has enhanced the descriptors with colours and textures, all echoing the tones of the Scottish landscapes. 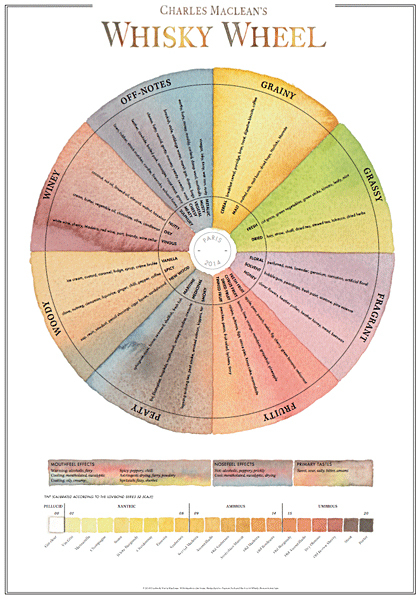 The whisky wheel is now not only a useful tool but also an artwork. A limited edition of 100 prints has been issued in September (£100). A standard edition of 500 prints will be released in November (£40). 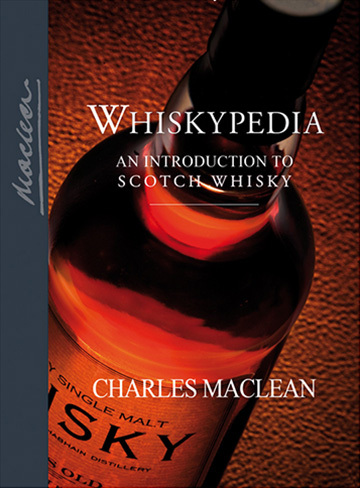 And also, don’t miss the updated edition of Whiskypedia by Charles Maclean. As entertaining as educating.